So, let’s talk stove installation! This may seem like a strange thing to say and do in summer time, however, this is the ideal time of year to think about having a stove installation, so that if you decide you would like a stove as part of your home improvements, it is possible to have the stove installation carried out before burning season starts again and start reaping the rewards on fuel savings and heating your home efficiently when you need it most. Accounting for the time it takes to shop around for a stove, obtain estimates, establish your budget, decide on the make and model that’s best suitable for your home, preferred fuel type and what you’re looking to achieve with a stove installation along with then booking and confirming your stove installation and requirements, can take some time. Here we are aiming to give you a quick summary about stoves and a stove installation to help you if you are thinking about it or undecided. Well, to have a wood-burning stove installation in your house is the new ‘must have’, and not just from chasing after style. 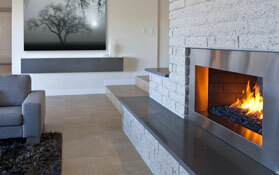 A stove installation brings something special to your house. First off, they turn the uncontrollable open fire into a tame, controllable animal that does what it is told. At the turn of a lever, the stove can be made to roar like a lion, or purr like a cat. This has enormous significance. When we switched to a stove installation, the first thing I noticed was that the wood pile didn’t shrink NEARLY as fast as it had done with an open fire. That was the first saving. Then of course, because the stove installation closed off the chimney and regulated absolutely how much air was going up the flue, I no longer needed as much heat to heat the house. With an open fire, the chimney sprays warm air into the sky 24/7, which is an enormous waste of energy. Wait ‘till you light that open fire, and a torrent of hot air simply roars up the chimney in a desperate attempt to heat the Great Outdoors. Closing off that flue with a stove turns the unmanageable monster into a controllable kitten. In addition, there is the safety factor. Open fires are something that you have to be well aware of at all times. There is the constant fear that at any minute a log may decide to spit out a spark to burn holes in your carpet, your sofa… but a stove installation kills that dead. The fire burns behind a glass screen and any sparks just bounce futilely around inside the stove. When it comes to the style element, the world is your oyster. Whether your taste is for the high tech German Wunder stove, or the cottage cosy-style that mirrors rural joys, there is a stove for you, and as long as you have good advice and choose carefully, you too can be blessing the day that you chose to enter the stove set. Before you get your stove installed you will need to have your chimney swept, so give us a call and we’ll happily make sure your chimney is ready for your new install. Just call us on 01223 835886.